What to look for when choosing a seedbox! Welcome back! Oh you never left? Great to hear that! So this chapter will help you choose the plan that suits your needs and of course your wallet. 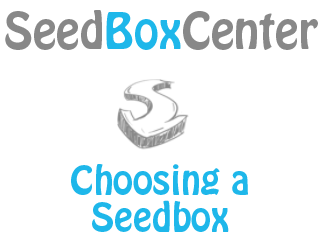 By the way, if you haven’t read our previous articles about “What is a seedbox?” and “Why should you get a seedbox?” you can do that now (please feel free to do that now) I will be waiting for you here to come back! So let’s see how you can choose the best seedbox plan for you.